Live! 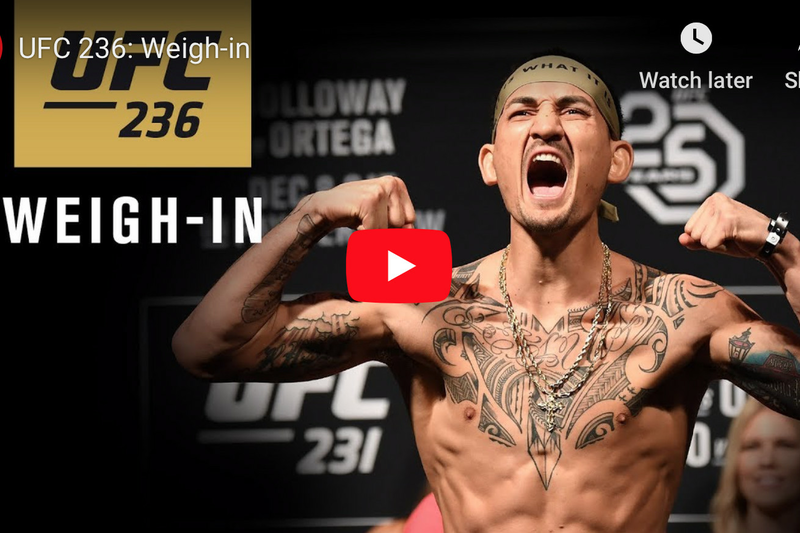 UFC 236 Ceremonial Weigh-In Video! With the UFC 236 early weigh-in results already in the books (full text results here), and everyone on their respective marks, the promotion will trot out the fighters competing on this weekend’s “Holloway vs. Poirier 2” pay-per-view (PPV) card for the ceremonial weigh ins, LIVE at 1:30 p.m. ET in the embedded video player above. Not only can you watch Max Holloway, Dustin Poirier, Kelvin Gastelum, Israel Adesanya, and so many others hit the scale, we’re also privy to the final staredowns! Woo hoo! For much more on UFC 236 check out our updated news archive by clicking here.